Draper Shreeve (born May 5, 1954) is a director, editor, and photographer based in New York City. Born and raised in Tennessee, Shreeve graduated from the University School of Nashville. He studied design and filmmaking at Pratt Institute and New York University. He lives in New York City. 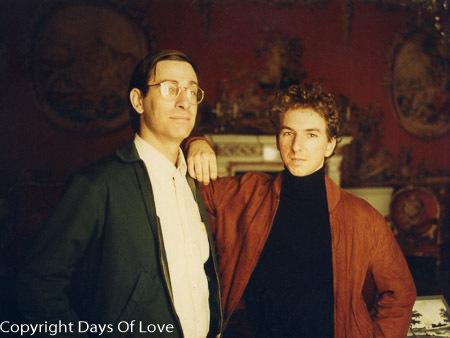 He met his life-partner, Christopher Bram, at Julius in 1979. As a filmmaker, he has made four narrative shorts including the award-winning Dangerous Music featuring Tony Award winner John Benjamin Hickey. It has screened at festivals internationally, been included in the New American Short Film series at the American Film Institute, and broadcast on television in nine countries. Documentaries include qFLIX Best Feature winner Queer City and Kids of Penzance, featured on the Documentary Channel. Recently he completed Everything Matters, a film that tells the stories of the patients of Dr. Ann Webster, a therapist in mind-body medicine at Harvard Medical School.